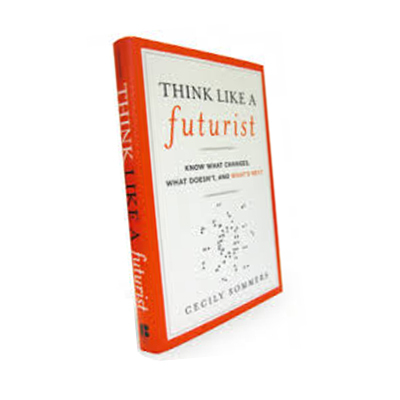 I recently had the pleasure of interviewing author and futurist Cecily Sommers. I have always had a personal fascination with people who can predict the future, and while Cecily doesn’t state that she predicts the future she does engage her readers into understanding how to look for signs of how to predict and capitalize on the changes we are all attempting to adapt and adopt too. Her book teaches the reader how to engage in new thinking in order to connect today’s pressures with tomorrow’s realities. “Think Like a Futurist” explains how the social, economic and environmental crises of our time spring from just four constant and predictable forces. Those four forces are resources, technology, demographics and governance and these four forces determine our future trends. 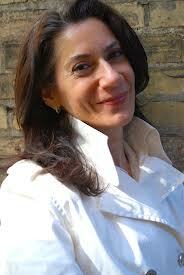 As Cecily state “over time, humans have been able to harness the power of the four forces for their own benefit. In the process, they have moved from a postion of hand-to-hand combat with the forces in a battle for survival, to one of greater comfort and ease. Cecily’s book is not a book about identifying trends, but rather transcending them, which is crucial in today’s fast-paced world where success is often defined as movement from deadline to deadline (crisis to crisis). Throughout “Think Like a Futurist” you will learn how to make your perspective both more elastic and comprehensive–you will find a long term vision needed to see opportunities on the horizon and understand how to realize them. I hope your enjoy this great interview with a fascinating author, extremely knowledgable and wise who knows how to help you see the trends that are shaping our future before they manifest. You can watch a great video about the book by clicking here to be directed to Cecily’s website or you can watch a great YouTube video by clicking here.